It’s a sad sign that summer is coming to a close when the public pools drain their water at the end of the season. But the city of Calgary, Alberta in Canada holds one last hurrah, and it’s for the dogs. 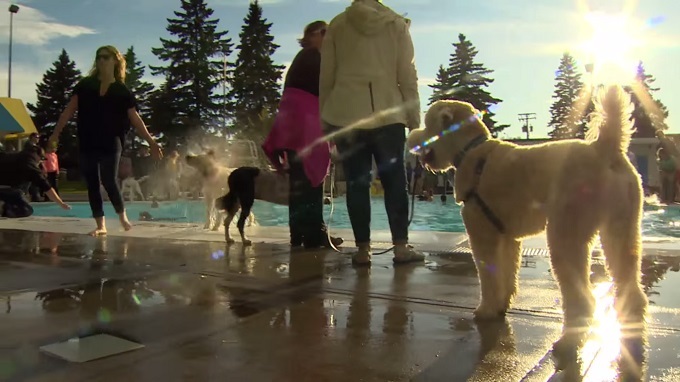 Rather than let all that water go to waste, Calgary’s public pools celebrate Dog Day. Dog owners are allowed to bring their pups for some fun in the sun before the pools close for the year. It’s a great way to let pups swim and socialize, and some dog owners use the opportunity to teach their furry friends how to be better swimmers. And it’s all for a good cause. The fourth annual Dog Day raised around $800 for the Calgary Humane Society. As you can imagine, the pools gets pretty hairy after hosting all those pups. But since the pools close up right after the event, all that fur is cleaned out and the water is dumped. Then they are refilled with clean water next summer. At least until the pooches come back for their end-of-year pool party.